John was born in California and, naturally, being close to the water was in his blood. His family relocated to Colorado, then to Arizona, and onward to Wisconsin in 1997. John started working for his aunt and uncle at their resort based on a chain of three lakes up in northern Wisconsin. He was hired as a maintenance/grounds keeper and worked closely with his cousin and family. John completed his boater's safety course to operate boats when he was only in the 6th grade. His love for fishing and being on the water grew exponentially, and he learned to repair and maintain a fleet of 25 boats. He continued to work at the resort until he graduated high school in 2003. After graduation, John enrolled in an automotive tech college, Universal Technical Institute, in Illinois where he continued to improve his mechanical knowledge. After graduation, he began working at an automotive dealership. He was excelling at his job, but personal and professional growth was lacking, so John decided to take a trip down to Florida, to seek an opportunity in the marine industry. John was hired on the spot at one of the major Fort Lauderdale marinas, where he worked for 11+ years as a service technician, receiving multiple factory certifications. John is still an avid fisherman and loves spending time with his family - a wife and a beautiful baby girl. 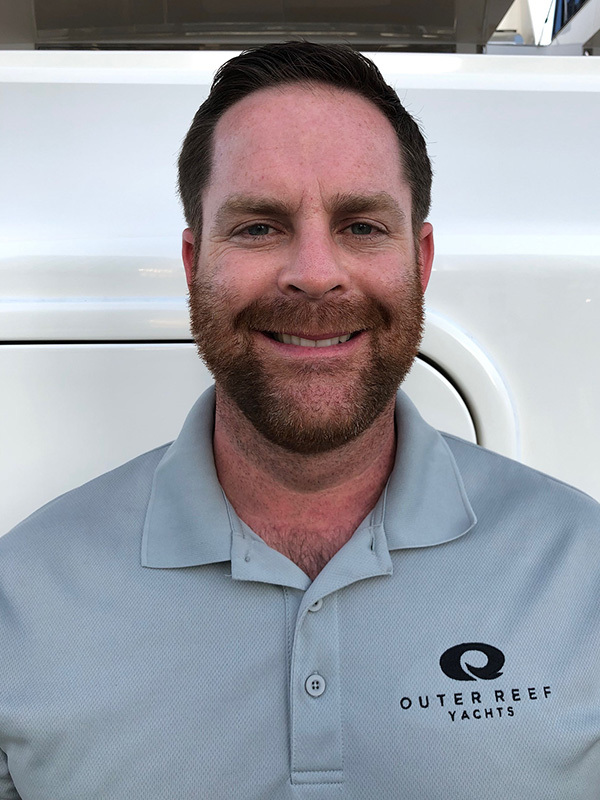 He was excited for the opportunity to become a part of the Outer Reef Yachts team and is enjoying his his new role in the service department.